I’ve indulged myself (yet again) in reading all things about poop. With excited joy I have received in my hands, from a colleague at Yoga London, an amazing book called the “Gut” by Giulia Enders. Written by a lovely German medical student who, at a party, was asked the question, what do we actually do when we poop? 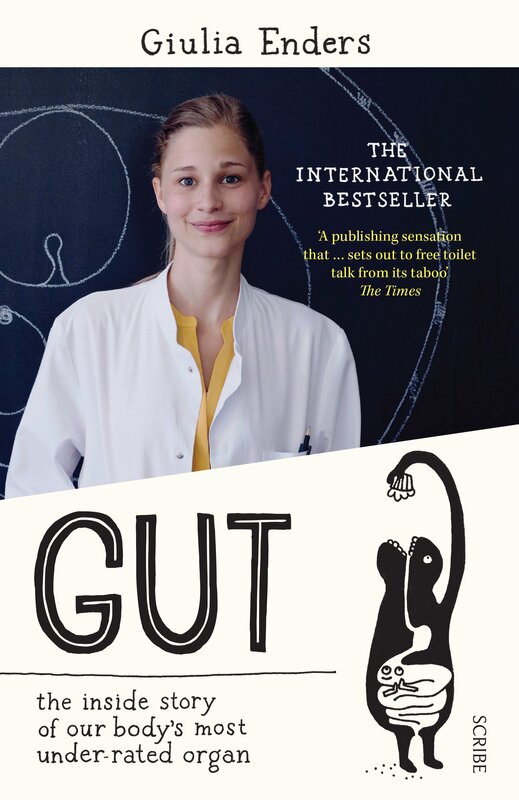 With a curious mind she went and studied the whole anatomy and physiology of the human digestive system to produce a book that sells millions of copies around the world. As you would, of course. To my delight, this book tells all the things and more about the things we teach in an ayurvedic class. In ayurveda first and foremost we treat agni, the digestive fire. It is present all along the digestive tract and between all the multiple functions our gut carries out pooping is the best way to understand what happens inside, how strong our digestive fire is. That’s why we ayurvedic practitioners talk so much about poop and in some unfortunate occasions we lose the understanding of the social code and eagerly share the memoirs and insights about our number twos. When me and my colleagues followed our teacher in India we shared at the breakfast table with minimum detail what came out of us: was it soft or hard, did it float or sink, one piece of many, any blood or mucous, gas or smell, or anything worth mentioning to our darling Mr. Cagander. The message is that there is too much stigma around a basic human behaviour, which has made us in the West, loose one valuable tool of observation. A specimen that is at “hand” of everyone, possibly and hopefully every morning, to tell about the state of health we are in. If everyone would just know how to read their poops we could catch up on imbalances earlier, take action when things can be still be managed in home environment. For example, if there are undigested particles in the faeces (like raisins, which I, as a curious child, decided to re-eat) we know that we are possibly not chewing our food properly or that our digestive fire is low. So what does a proper healthy poop look like? First of all it should be a daily occurrence, in the morning, preferably before 12pm so it does not stay inside for too long. Secondly, it should be soft, come out without strain. It should not smell much and it should not be expelled along with excess gas. It should float at first (Giulia Enders explains that healthy poop contains bubbles that make it float) and sink later. It should not stick to the pan and leave little marks when wiped. Lastly, the most important thing of all is that when the whole process should leave a sense of deep satisfaction that lasts for good some time. Why is this? It is because the body rewards us when we do things correctly. In this case it releases serotonin, a feel good hormone, which gives a nice sensation of euphoria after a perfect performance. There is so much I would like to share about this universal activity of elimination but I think I should stop for now for proper mental digestion. But, I invite you all to read Miss Ender’s book as it is very entertaining and start being more mindful of what comes out of you as it tells everything that goes on inside. Previous JIVITA IN THE PRESS: Is there anything nicer than being mentioned in this month’s Vogue Magazine ?! Next In interview with… Maya Tiwari, Ayurvedic international teacher and spiritual pioneer !